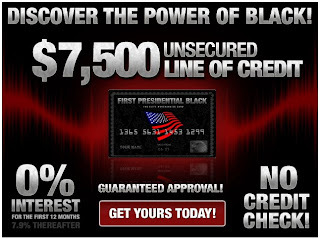 I just received an email advertising the "First Presidential Black" visa card. How long do you think they've been planning this campaign? Wow! Just when the crowds are celebrating the breaking down of racial barriers, along comes a racist credit card. Did they market a power of white card four years ago?